Come to the Austerity Conference on 5th October in Winchester! Book Now! 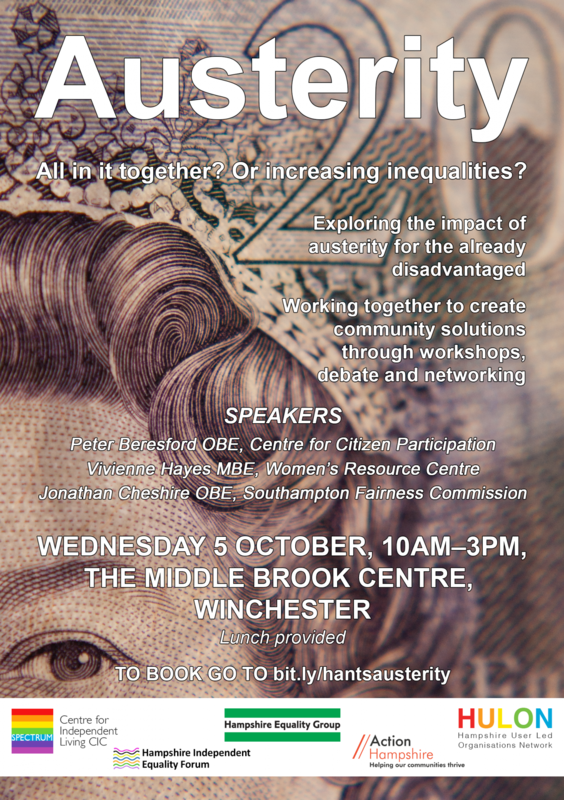 Home»News and events»News»Come to the Austerity Conference on 5th October in Winchester! Book Now! Austerity – All in it together or increasing inequalities? Working together to create community solutions through workshops, debates and networking. Please click on the link below to book your place! Accessible Meeting Rooms now Available at Unity 12!